We go back to France in the 1950s, a country still coming to terms with its wartime occupation by the Nazis and the collaborators who worked out of Vichy. A result of this was that the national film industry of the time was deeply reticent to create challenging or experimental work that might show France in a bad light while trying to rebuild its standing in the world. Instead, they invested big in 'cin�mas de qualit�', a propagandist term for films that reinforced safe and bland moral messages and adhered to a strict film-making formula on how to stage and present the story to viewers. These films were popular, but creatively void. A small group of film critics (Fran�ois Truffaut, Claude Chabrol, Jean-Luc Godard amongst others), writing for the Cahiers Du Cin�ma magazine, reacted against this artistic suffocation by the French studios. They championed a number of foreign directors, such as Alfred Hitchcock, who worked within the studio system but whose technical excellence allowed them to leave 'signatures' on a film through their visual style and tackle challenging themes through symbolism and allegory that would be off-limits to less ambitious minds. Due to their unique filmmaking techniques and singular creative visions, the critics called these directors the 'auteurs' (authors) of their films. Apart from using it as an excuse to post pictures of gorgeous French actresses, the situation French cinema found itself in before these directors revitalised it bears some similarities to how the videogame industry is operating now. Of course the details are different: rather than family-safe, moral message productions, the overwhelming majority of games released by big publishers are sequels in a limited number of popular genres, often near-identical to one another in terms of visuals and gameplay mechanics. Gaming is in desperate need of 'authors' to drag it out of creative lethargy. There are many possible reasons why gaming has so far struggled to find them. One might be that people seeking to enter the industry are overwhelmingly likely to be young: the medium itself is only about forty years old, so apart from those present at the beginning, new entrants most likely be barely over half that old. Only very rarely do people of that age have a strong world-view and the experience to project it in a clear and confident manner. Asking them to helm a multi-million dollar project and assert their artistic personality onto the resulting game is an infeasible demand for most because they themselves will barely be sure of what they believe in. In their desire to learn their craft and be accepted, acquiescence will inevitably be given to those who trod the ground before, turning into powerless obeisance of their money-men task masters. Reports abound over the internet of veteran programmers being refused jobs despite their years of experience: unfortunately, the industry seems to value the knowledge gained by age less than the malleability of youth. While it's important to appreciate that the industry operates as a business and will therefore go where the money is, the growing reliance on formula sequels is strangling the young medium's bid to promote itself as a worthy cultural form. It is segregating the gaming audience in the same way that resulted in the graphic novel industry (which produces a much larger number of intellectually stimulating works than videogames) failing to find readers for its best works outside the stereotypical niche. The artistic merits of games and graphic novels are championed by fans, but apart from token bids by newspapers to bring in younger readers by showing 'open-mindedness', the assumption prevails that where books, film and radio have great cultural worth for everyone, gaming and graphic novels are best left to adolescents. And who can blame them, when the games industry itself continues to treat its products as little more than cash-cows to exploit juvenile fantasies? Despite being derided by long-time fans for the manner in which they've gone about it, Nintendo's outward-thinking with the Wii has proven that the medium can appeal to non-gamers if offered in a manner that proves it has interests beyond those of the average teenage boy. 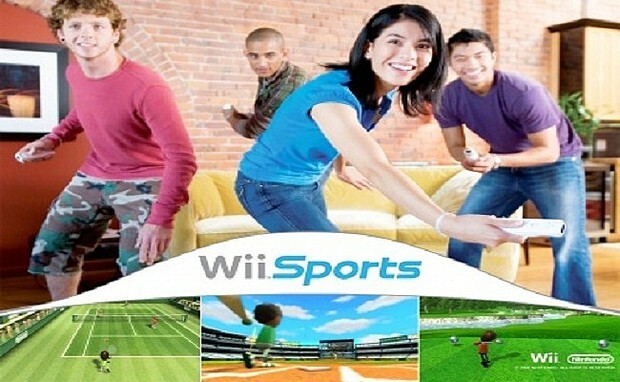 Is Wii Sports colourful and child-friendly in its presentation? Absolutely. But for most people that's no bad thing: If they're going to be asked to play, childhood is where they'll be most comfortable reverting back to. It's the juvenile years, when we all thought we were cleverer than we were and lusted after the empty pleasures of life, that most sensible adults would prefer to leave behind. Games like Gears of War, despite the 'Mature' rating on the box, are more of an uncomfortable reminder. 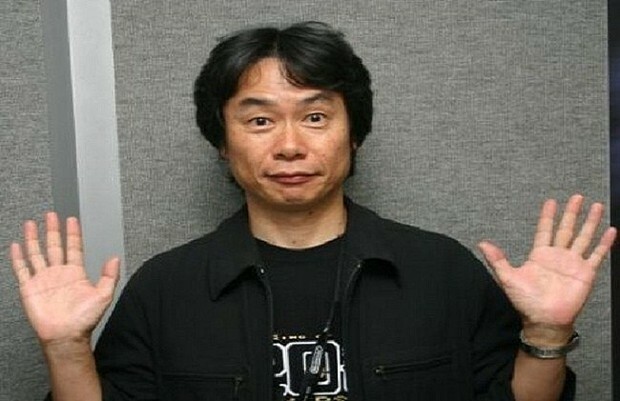 The Wii is the brainchild of Shigeru Miyamoto, General Manager and Head of Creative Development at Nintendo, also one of the few men who can make a strong claim to being an 'author' of the games industry. His authorial signature comes through a devotion to mixing accessibility and depth, presented in a style that is cheerful without descending into garish infantilism. He operates firmly within the gaming mainstream, yet many of his games have strong surrealist aesthetic influences (Pikmin, Super Mario Bros) and narratives in his story-driven games are deceptively deep (examining loneliness in Majora's Mask). He also has a knack for bringing in audiences who would not traditionally call themselves game players. His presence is not just helpful for the games and consoles he invents, but as a figurehead the industry can use to give authority to their claims for cultural and artistic worth. One of the differences between the literary or film industries and graphic novels is that the former two can point out any number of great writers or directors, respected by people in all walks of life regardless of their entertainment preferences, as evidence of what their media can offer. Comic books can provide a handful at best - Alan Moore and who? Having these figures, whose creative appeal stretches over boundaries and redefines the limits of what their medium has to offer, is invaluable not only in terms of cultural respectability but also increasing the number of people who would be open to trying things they otherwise might not. Audiences are attracted to big events and having a marquee name behind any product is a reassuring sign that the product in question will likely be among highest quality of its kind. A further benefit of the presence of 'author' figures in an industry is that studios (or publishers) can feel safer in backing riskier projects. This is not only because they know that the person in charge is experienced in what they're doing, but also that the name alone will be enough to bring in a certain amount of publicity and sales. 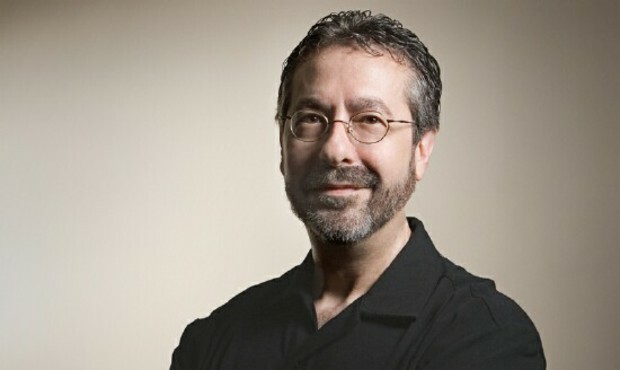 If we consider the upcoming Epic Mickey as an example, having Mickey Mouse as the protagonist might have given the game a certain importance over other platformers, but it was Warren Spector's involvement and gamers' knowledge both of the quality of his past work and the authorial gameplay signatures inserted within them (player freedom, a certain amount of role-playing elements, open level design) that elevated the title to something worth giving a large chunk of Nintendo's E3 stage-time to. Promotional interviews in newspapers and magazines have been quick to label him as one of gaming's most respected statesmen, making non-gamers want to know who he is and what makes his games more special than the myriad others they had ignored. Beyond Miyamoto and Spector, coming up with a list of candidates as potential gaming 'authors' is dispiritingly difficult. Hideo Kojima could be a front-runner, despite his sense of humour taking a bit of getting used to. Grasshopper Studios' Suda Goichi certainly has the signatures and creative talent in abundance, but operates too far outside the mainstream: his ironic deployment of gaming clich�s are easily confused as the same old adolescent fare by those not in-tune with his mindset. As a team, Ice-Pick Lodge (Russian developers of Pathologic and The Void, the latter of which I'll be writing about in-depth sometime soon) are worth mentioning for having a manifesto of design ambitions and dedication to creating experiences that expand how the interactive form can express story and theme. Yet while the themes they draw their games around (social decay, depression) are more broadly accessible than Suda's, the manner in which they do so is profoundly anti-mainstream and even seeks to make the experience uncomfortable for the player. The only other candidate I could come up was David Cage of Heavy Rain fame, but while his devotion to interactive drama is admirable, the quality of his work (and writing especially) is debatable at best. As much as the present methods of business-focused thinking is proving lucrative for publishers, any industry so focused on finance above creative endeavour will almost certainly end up consuming itself and destroying any potential for expansion. The gaming industry's patronising approach to its customers is evident both in its oppression of young talent and reliance on formulaic genre sequels, as well as attempts to catch on Nintendo's coat-tails and the Wii Sports phenomenon, confusing understandable presentation for hand-holding. The resulting flood of low-quality 'casual' games decided that the best way of enticing those without controller experience was to treat them as though they had the cognitive capacities of a three-year old. By developing more individual talents, publishers can not only give themselves a safety net for backing more experimental titles, but also have promotional figures to introduce the medium to new customers: surely the sign of a mature industry is how comfortably its creative and business brains cohabit. If gaming is ever to create a Citizen Kane of its own, it has to first be open to finding an Orson Welles. Can 'Platform-Agnostic IPs' Ever Work? Do We Really Want Difficult Games? Can Motion Controls Overcome The Hurdles of Gaming Logic? Can Traditional Third-Party Games Ever Succeed On The Wii?